What is Child and Adolescent Mental Health? Children and Adolescents often have anxieties, worries and problems growing up that they feel they can’t talk to their friends or family about. That can be anything from problems in the family, worries about school and friendships, bullying, struggling to concentrate, the divorce of parents or a bereavement. At a time when the waiting list is up to a year to be given therapy and help on the NHS, our child psychologists and psychiatrists are here to help your child get the help they need today. There are a number of factors that contribute to the mental well-being of humans. Keeping your child mentally well enables them to develop a resilience to life’s challenges and allows them to cope. It is important that your child has a healthy lifestyle. This includes eating a balanced diet and taking part in regular exercise. Allow your child to have the freedom to engage with other children and spend time playing indoors and outdoors. Living in an environment with a family that gets along and displays emotions of love, trust and understanding are important to a child’s mental wellbeing. It allows them to feel safe and when listened to, they feel valued and at ease to discuss their life’s troubles. A good school life is crucial. Going to a school that cares for the wellbeing of its pupils provides a safe environment. They should be able to learn and be offered opportunities to enjoy themselves. Encourage your child to take part in local activities for young people outside of the home and their school. This is imperative to your child’s social skills and learning about who they are. They will discover what they enjoy and recognize what they are good at. Most children grow up mentally healthy but this can be affected by changes throughout their young adolescent lives. Traumatic events, feeling at risk, changes to their day-to-day lives or the discovery of new emotions and changes to the body as we grow, are all contributing factors that can have a negative effect on a child or young adult’s mental wellbeing. Here at the Blue Tree Clinic, our child and adolescent therapists and private psychiatrists are empathic, patient, warm and kind. With our ongoing support, we aim to work with your GP, your child’s school and the family to get them feeling happier and content, and through whatever is going on. 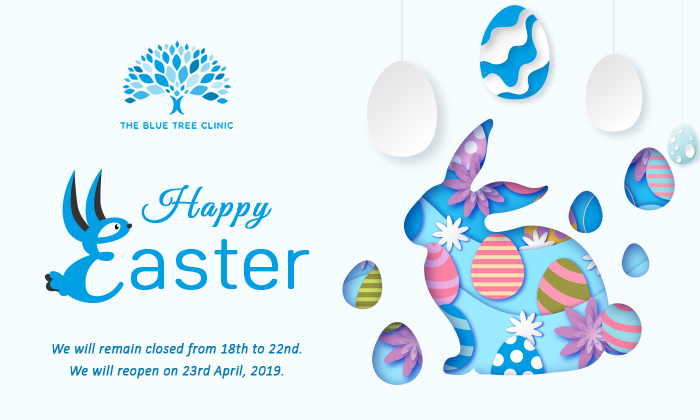 For more information on how the Blue Tree Clinic can support your child in overcoming their mental health issues, please contact a member of our friendly team who will be happy to answer any questions you may have.